Arthur Chatto - Who is next in line for the throne? Arthur Robert Nathaniel Chatto was born on February 5, 1999. 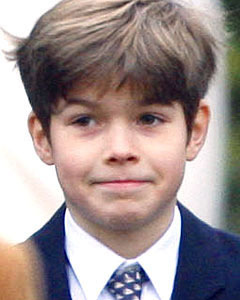 He is the youngest son of Lady Sarah and Daniel Chatto. Arthur Chatto is the grandson of Queen Elizabeth’s sister, Princess Margaret. Although he is a distance relation, and not very high in the line of succession, he is still a valued member of the royal family. Since 2010 he has served as the Third Page of Honour to Queen Elizabeth II. It was thought that the Queen and her only sister, Princess Margaret were very close and as a result the queen has made a special effort to ensure her children and grandchildren remain close.